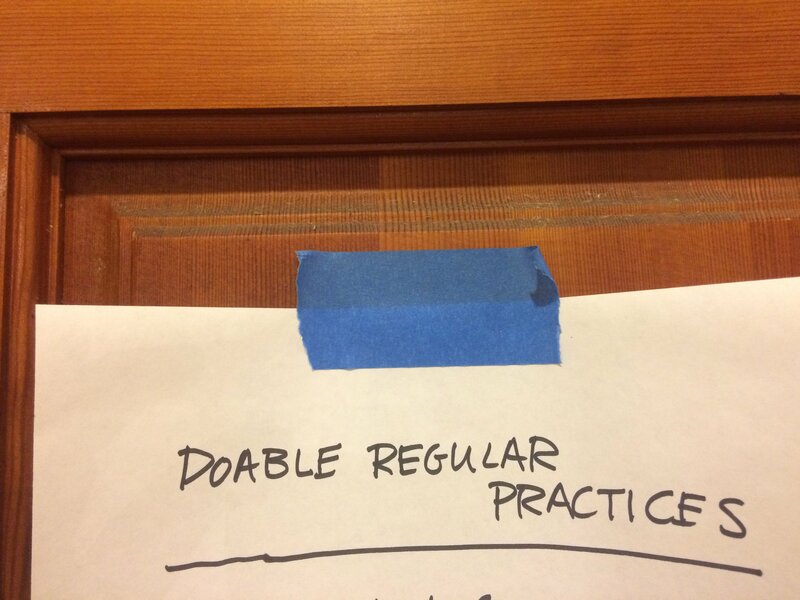 On my front door with blue painter’s tape, I’ve stuck a hand-written note to myself: “Doable Regular Practices.” It’s not a long list and ranges from doing strength-training and using the Water Pik. Although I’m fairly good at meeting writing deadlines, for most of my life, I’ve neglected other maintenance practices, whether it involves my body or my surroundings. It’s weird, while I see invisible work projects, sometimes I can’t visualize the physical mess around me. But I’m over 50 now, and I can’t continue going on this way. So I’m simplifying my life, making time for maintenance or regular practices. I guess you can call it self-care, but I don’t like to necessarily characterize it that way. I know that some of these things needs to become a habit, a way of life. And in incorporating these practices, my creative life will be extended. If I add anything new to my list, I know that something else in my work life needs to be eliminated to make room.